Congratulations! You win 20 bonus points with this purchase! 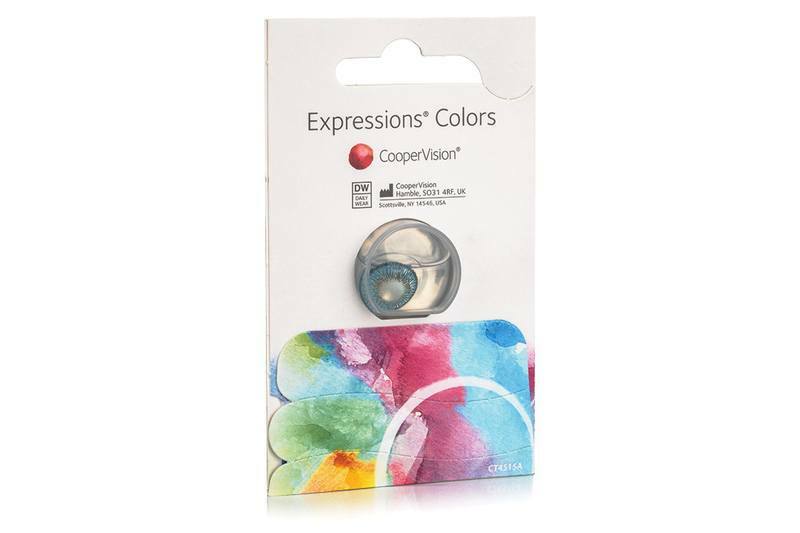 Expressions colors contact lens (1 lens) by CooperVision is designed for daily wear with a monthly replacement schedule. The perfect design of this lens provides excellent oxygen permeability, comfortable wear and easy manipulation. Expressions colors covering lens has a brown limbal ring which allows for a perfect eye colour change and excellent vision quality thanks to the base of the popular Frequency 55 lenses. The application of various shades of Expressions colors lens is achieved thanks to modern technology. The 3-layer tinting process guarantees a more natural and realistic eye colour change. Coloured contact lenses are a fashion accessory and a great choice for special occasions that come in several colour combinations. The final result partially depends on the natural colouring of the iris and lightning. Monthly contacts such as these have to be taken out before going to sleep. They need to be placed in a case with solution, making sure you don't mix left and right. You may also want to use eye drops, if necessary. One important suggestion I have is that the lenses you're going to purchase have already been tried and tested in your eyes, so that you're sure you can wear them without problems, you'll have to see a specialist for that. Do not hesitate to contact me at info@lentiamo.co.uk if you have any other query. Wait, so long can i use these? Up to four years?? They are monthly lenses and have to be discarded after one month of usage.